The trials just keep coming around here. We found out this week that the leaking in our chimney is NOT covered by our insurance and the repairs inside the house which they will cover hang right around the same amount as our deductible. Pretty bummed. I've started looking for a part time telecommuting job to help fill the gaps and take care of a string of repairs desperately needed around our home, the roof and wall tear-out just being the latest of expensive issues. Remembering to pray at every turn, in place of worry, has helped me Focus and center on Christ in the middle of it all. I know, the "read in nuggets" part may seem weird, but I have so many books I want to devour this year, I have to remind myself it isn't about the BIG sit-down-and-read sessions, rather, I can get a lot accomplished in those small nuggets between. I'm hoping this more productive use of my in-between time can set a good example to my kids... even if they are all 16 and older! 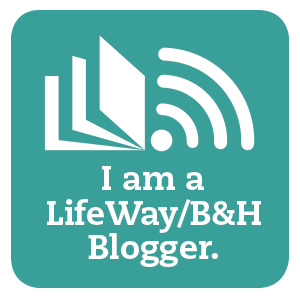 The days of community reading are a distant memory now, yet, if I don't model how important it is to prioritize reading as an adult, they won't realize the possibilities. 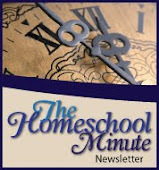 Our new homeschool schedule also provides a great deal of peace and relief in the midst of all that is going on. We have 3 classes together first thing (Math, English, Geography) where I teach the lesson and then she breaks out on her own to take care of the corresponding coursework and the rest of her self-paced lessons (Foundations, French). We've even begun talking about dual enrollment for her senior year next year and it is crazy to realize, this year may be our last doing schoolwork together. We do still prioritize our mom/daughter time. She seems to enjoy when I have deadlines I'm working towards and need to escape to the coffee shop to make some serious progress (believe it or not, the setting helps me focus and get a lot done!). She brings her sketchbook and practices her 'craft' while I tap away on my keys. We are getting more driving in, though the coming week may have both Brooke and Brenden benched since we are expecting snow. The experiences are still hair-raising at times and I look forward to the day when the learning phase is over! I am still LOVING our "Student Driver" magnets which seem to really inspire fellow drivers to have more patience and give the kids a greater cushion of protection as they travel! You can find these and other styles on Amazon. Elle aime Paris... (she loves Paris) and is still working hard on her French! We had hoped to wrap our week up with a hike in our 'warm' weather before the frigid polar air and snow hit on Sunday but I came down with a bug. We'll get that hike in soon. P.S. I DO keep my Instagram updated if you want to see our latest escapades! Follow the link in-text.